We love our customers! They express themselves with cards, emails, and gifts! 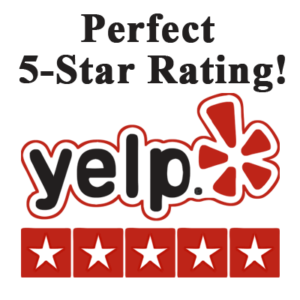 We are one of the ONLY computer companies in Denver with a 5-Star Yelp rating! Robert help me out with a problem that the company IT guy couldn’t seem to solve. With OnSite’s ability to remotely access my computer Robert solve the problem in 10 minutes without me having to bring it in and be offline for hours. You guys are great! Keep up the good work. I want to thank you so, so much for being there for me when I needed it. I’m so glad I can count on you, so glad people like you reside on Earth. Just wanted to thank you and Sondra for your excellence in service and patience with me. I thought it was extraordinary for you to come to the house yesterday. And, Sondra is a super accommodating lady, too. You guys get a 15 on a scale of 10. Thanks again. You had some of the highest marks on our evaluations for ANY class taught to our Realtors last year! We’d love to have you teach again! Appreciated the INSTANT service!Elna M.
I wanted to sing Travis’ praises – he was very likeable, personable, and very helpful; explained things so clearly and well; I enjoyed working with him very much! “Thank you again. I tell you this all of the time, but you are the best! You all always save me when I find I’m in trouble. I pass your information for Onsite Consulting along all of the time.”Judy T.
“I went through the entire Tom Martino Troubleshooter Page of computer consultants, and you were the only one where I spoke with a real person and answers his own phone!”Kelly P.
“I wanted to compliment you and Travis . . . Thanks so much for advice, guidance, and completion of the task! Thank you and my compliments!”Rabbi B. “I just wanted to let you know that J.R. was great. It is nice to meet intelligent and communicative people such as J.R. that are actually instructors. I just thought I should pass it along that it IS noticed and appreciated.”Gina C.
“Travis Did His Usual Fine Job — And Cured My Situations Very Promptly. I Am Sure Glad He Is Available To Help When Needed. My 79 Year Old Mind Is Not Quite As Efficient As It Was 10 Years Ago. Cheers!”Jack C.
“Travis did an excellent job and the system is working much better! Thank you so much for being such a wonderful friend. You know I think the world of you but you have to begin charging me for what you are doing for me. Thank you so much for all of your courtesy, effort, and concern. I do sincerely appreciate your generosity and consideration regarding the pricing. I have already referred two clients to you, and will definitely continue to do so. Most of my friends are not able to manage their own computers and know about as little as I do, so people are always asking if I know a good computer consultant. Travis was so patient with me today. Just want to be sure that I made my message yesterday “loud and clear” about how much I appreciate your efforts on my behalf. Your pricing was very generous, especially since I do realize how much time and effort you devoted to helping me. And, it was greatly appreciated since I am not reimbursed for any of my expenses. Your efforts were “above and beyond” and the mark of a true professional. My advice: You should consider increasing your rates somewhat. Emily is just a jewel! I’m so pleased with the work she did. I’m going to hand out the business cards to friends &amp; clients. Thank you for donating 6 desktops and laptop to Rev. Noah Sabanda in Zimbabwe. He has taken in 16 AIDS orphans in addition to his own family and is providing for their education. These computers greatly facilitate that, especially since several in the house are in college. Emily was very pleasant and knowledgeable and most of all, patient with me and my computer! Thanks for all you do though, Scott! You’re great! Thank goodness for your business – – – we all are so grateful for experts! Congratulations on your 2008 Business Award that you so much deserve! Your service to God comes first and He rewards those who are faithful. Thanks so much for all you do to help me as well as all your customers keep up on the latest for our computers. Thanks to Emily for a job well done! I know you both are very busy and I’m so sorry that last week and this week has been a little crazy with having to call you so much. I do appreciate the work you do for us. Business of the Year, way to go Scott!!!!!!!!!!!!!!!!!!!!!!!!!!! Congratulations, Scott, for the honor of having your business named 2008 Business of the Year. An honor well deserved. OMG you guys CONGRATULATIONS!! I have known for years that you were “business of the year” it’s about time others knew it too !!! Congratulations, Scott—Best Of awards are not given easily. Your service and your professionalism helped catapult you to this honor. Congratulations on being chosen as the Cherry Creek Chamber of Commerce Business of the Year! I’m not surprised but I am thrilled for you. You certainly have done a great job for me. I appreciate so much that you and your staff attend to my requests in such a timely and helpful manner, many times without a charge. You’re the best! As usual, your news releases are useful and essential. Keep up the good work. There is a Special Place in Etherworld Heaven for you. Mitch came out last Friday (during snowstorm) and was great! We really liked him. Our computer is faster and I understand the basics of my e-mail account much better now. Your company has truly become a “resource” for us. Thank you so much. Thanks so much — you guys are wonderful — you’re right, Travis is INCREDIBLE, and patient with me! Hey Scott. Just wanted to thank you for getting hooked up with Mozy a while back. Yesterday I was downloading from my camera and wiped out all “my pictures” on the computer. Luckily, Mozy had backed up just an hour ago and so I went there and got everything back. Whew!! Thank You!! You have a great business and you have helped us often!! I have and will continue to recommend you to friends/family. I did recommend your service to Dorothy last week. She did have one of your people come by and told me it was the best money she ever spent. I agree with her. I am very inpressed with you and your Company, and thanks for the free help you have given me. I will certainly recommend you to any of my friends!!! You and your team/staff certainly deserve this award. It is a pleasure working with you – your customer service standard and level of support is excellent. Congratulations on your award! We do refer everyone to you. We’re lucky and glad to have been helped by you for many years. Thank you very much. You’ve got a great team. You’re the best! Thank you for all your hard work and patience! I had an amazing experience, even though my computer was a total pain! Just wanted to tell you that I think Emily is an asset to your business, and I give her top top drawer recommendation – she’s sharp in just so many ways and I think she knows her stuff, etc. etc., etc. It was just a nice visit and I think she is an absolute asset to you, and I decided to let you know about that. Whenever you trust and receive good service, such as I have, it is very easy to refer clients! Emily set up my computer, for which I’m very grateful. She showed me exotic things I can do with my computer, such as set up folders. Wow! Thanks to Scott for helping me so promptly. Dear Scott, Emily did a wonderful job. In the future I want her to be the person that works on my computer. You are very lucky to have someone like this working for you. Best wishes to your group. A big “Thank you” to Emily, and to Scott for starting this wonderful company! Thank you for sending Travis. He is always delightful and knowledgeable. Everything seems to be working at the moment. I am sure I will call again….with some kind of a problem which I am sure, again, that you will solve for me. Hi Scott. Two things…the new computer is great! It is so fast! That is going to be great. Travis does such a good job! I just want you to know how much I appreciate him. Thanks so much. I just wanted to let you know how pleased I was with the help Travis provided me last week. He is extremely pleasant to work with, and I always learn a lot from him. In addition, he has a great attitude and is never condescending, which I appreciate. Thanks for the excellent service. Once again, thank you so much for the excellent computer assistance. We look forward to our next session with Travis. Thank you so much for always being there for us! As always, I really appreciate your expertise. You make me feel a little more confident with all this electronic stuff! Dana’s a great guy! He did a fabulous job, and tell Scott he needs to give him a raise! Scott, Jason and Emily: Thank you so much for everything you did during our move to our new office. It was excellent working with you and definitely my pleasure. Lori W, Distinctive Properties Ltd.
Travis did a great job on my laptop! Feels like I am using a brand new computer. Thank you so much! We love the computer class. Scott is great! Thank you for your assistance. I loved the virtual approach (remote support) too…it was so easy! I just wanted to thank you for your kindness in talking with me or returning my calls whenever I called in a panic. I recommend your company whenever I have the opportunity. I am enjoying my computer again, thanks to you! I surely will when ever one of my friends needs help with their computer, recommend you greatly! Thank you again. I was just having a little “love fest” about my computer guys to a girlfriend. She was gushing about her guy, and how much she likes hers. We laughed out loud when we realized we were both dishing about YOU! I was willing to give you my first born (he’s 51 years old, however), so imagine my shock to see a bill for $40.00. I have already recommended your company to several friends and have thanked Melody for recommending your services. Just a short note to let you know that Emily did one heck of a job on my Computer tune up! I know that more than once, she had a nasty word about my computer, yet she kept her patience and composure and got the job done. It works much better than it did before she “Worked it over”!!!! Appreciate, very much, the work done and Emily’s effort! I really appreciate your attention to customer service, giving helpful advice without nickel-and-diming us. I’ll be happy to recommend you to others. Dana was great, and I am thrilled to have resolved some annoyances with my computer. Thanks so much! This is to thank you and your colleagues for all of your help – excellent help – over the past year! Thank you for the outstanding work on my laptop! I truly appreciate your team’s knowledge and thoroughness. Just wanted to let you know the service your office provided, the end of year tune up, was great. Hats off to Dana for doing a good job, very friendly, prompt and insight. I’m glad I had it done. The “remote” service was terrific, and (Emily) was a delight to watch in action and work with during the entire process. Thanks! Scott, I was very pleased with Travis’ help in switching over to my new computer. He is very fast and very efficient, but you already know that. Thanks for your help. Thank you so much for all that you did to my computer. It is working great! I can’t tell you how much I’m grateful, confident and at ease with your services! It was our lucky day to meet Scott here at Heather Gardens those many years ago! Dana was great! Best $40 bucks I’ve spent in a while. Scott, wow, wow!!! What a blessing you are to only charge me $100 for all that hard work and added value! Thank you so much for this and please know you have my total loyalty! I appreciate you and your team so much! THANK YOU SO VERY MUCH!!!!!!!!!!!!! I have already recommended your firm to a couple of friends, but your quick action and very reasonable lack of charge for this quick fix guarantees that I’ll really stress that your service is great. (We) learned a lot at last Friday’s meeting (with Travis) and we really appreciate his help on the various and sundry issues we discussed. We hit him with dozens of questions and he had an answer for every one! to you for offering these laptops at such a reasonable price. I would not have purchased one when I did otherwise. It truly made all the difference. Thank you for providing such good service and care for your clients. Just a quick note to thank you for having such a professional and knowledgeable young man on your staff (Travis). He is prompt, courteous, and quickly identified my printer problem and corrected it without difficulty. I do commend him for his attention and your company has always supplied required and prompt technical service when needed. Thank you so very much. I absolutely will recommend you and do – every chance I get. You and Travis have been wonderfully helpful and responsive! Thanks so much for putting up with the transition. Scott and Travis at On-site Consulting had patience and determination during the change with a very desirable outcome. I received the invoice for all of the work which Emily did this afternoon. She was endlessly patient and cleaned up the innards of my computer which my noodling had upset. Thank you for your wonderful company. Travis did an excellent job! I would recommend you to anyone. Thanks for the quick service. Dear Sondra, thank Emily and also Scott for not charging me a fee for the service in finding my email addresses. It is greatly appreciated as I know all of your employees are always willing to help me so much. It is a relief to me that I know there is someone I can always call on with my computer problems. We have been happy with your company and will continue to give you our business!